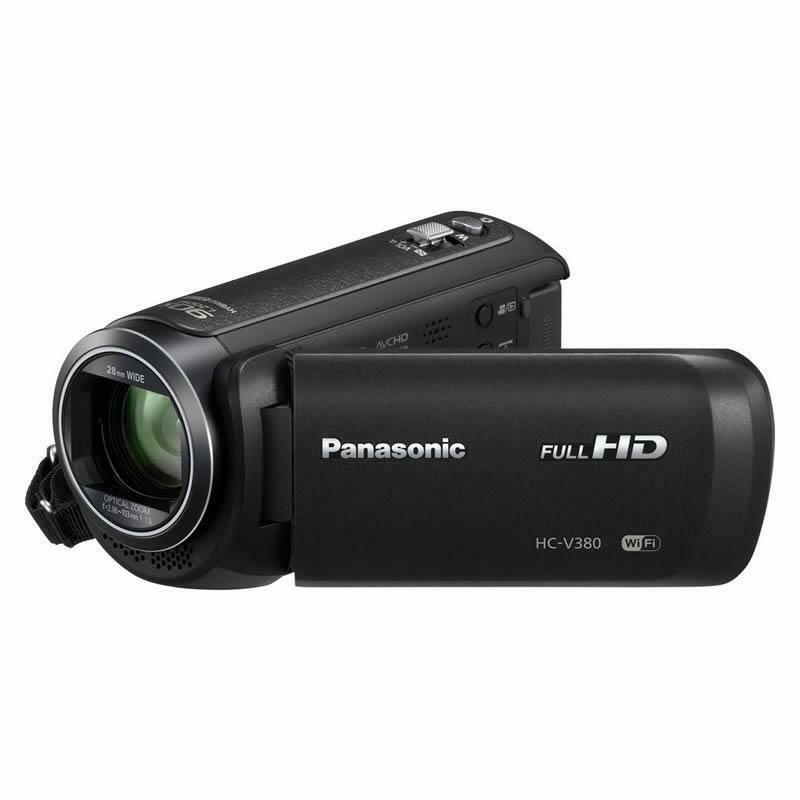 The Panasonic V380 Full HD 1080p handheld camcorder brings the joy of video creation to life with innovative features like multi-camera scene picture-in-picture capture, simply by adding a WiFi link to a mobile device camera. 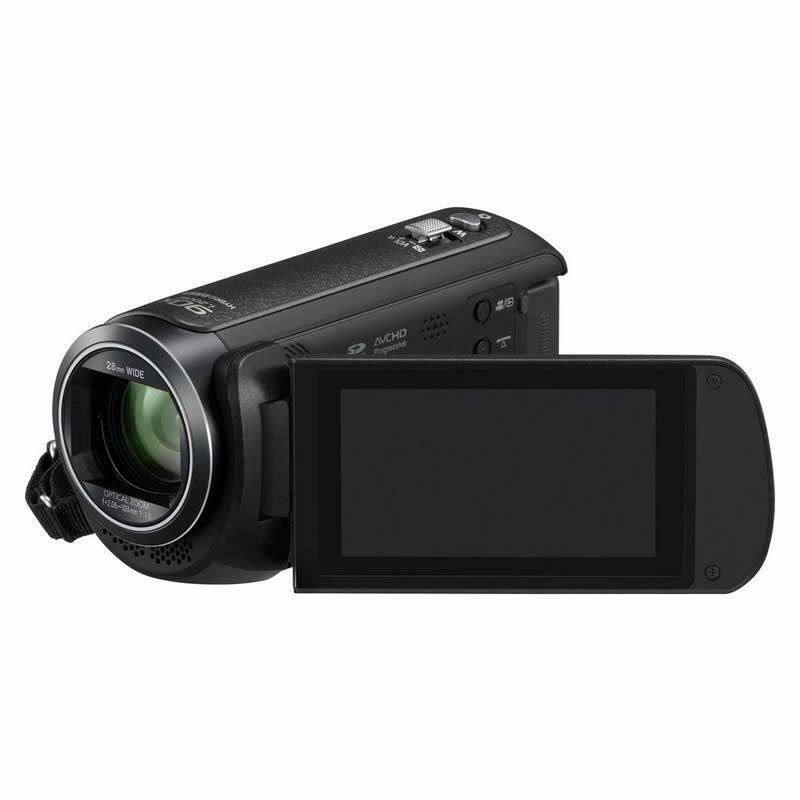 A 50x optical zoom with 5-axis image stability and up to 90x intelligent zooming get you close to the action, plus in-camera Creative Controls and Intelligent Auto Plus modes enhance creative possibilities. The 28 mm Wide-Angle function (35 mm camera equivalent) makes it possible to fit more people and more of the background into the frame, which is especially handy when you want to take a group shot in a small room. It fits objects in, even when you shoot from up close, and makes it possible to pick up even small sounds with the MIC. 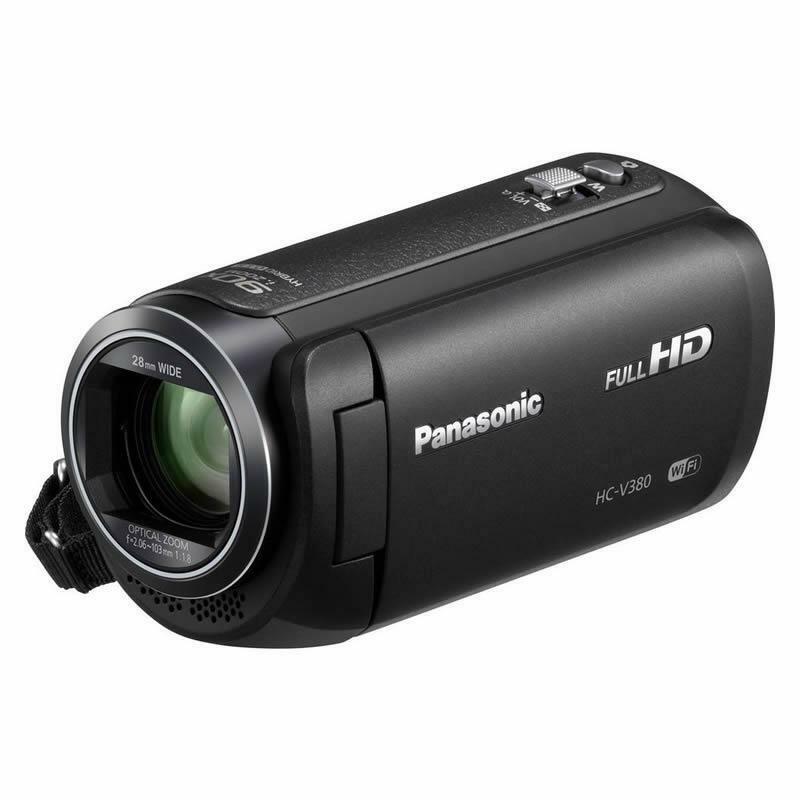 Equipped with Intelligent 90x zoom and Optical 50x zoom, this model lets you easily shoot distant subjects that are too far away to capture clearly with a conventional zoom. 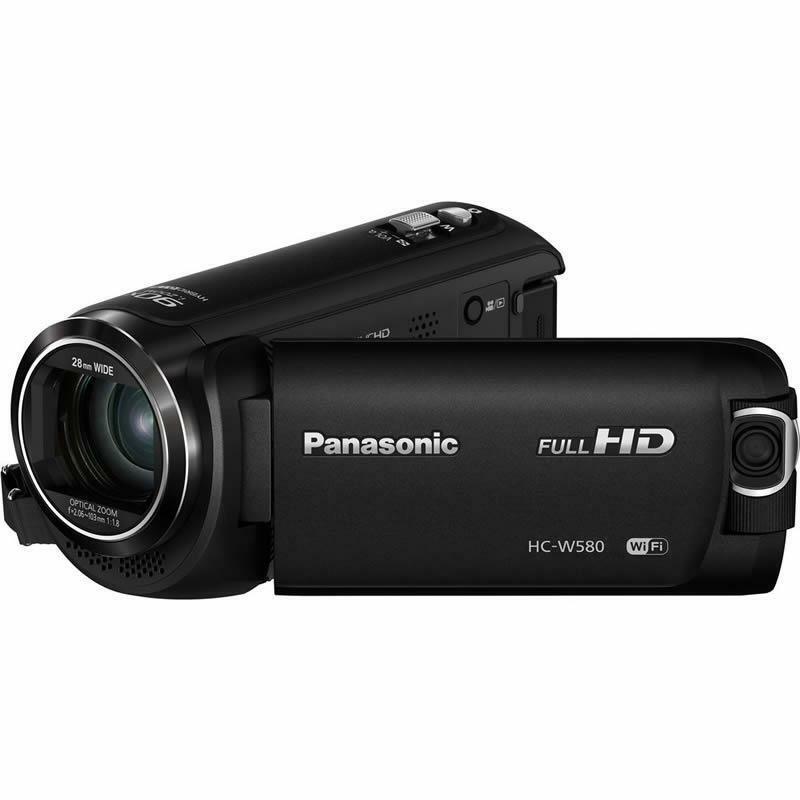 Remote options: Mobile device connectivity via Panasonic Image App for image sharing and controlling camera features remotely. Live coverage: Stream events live on USTREAM. Baby monitor: Check on the baby in another room via a mobile device. You're always at home: Monitor your home while away and talk to your family or pets from your mobile device.